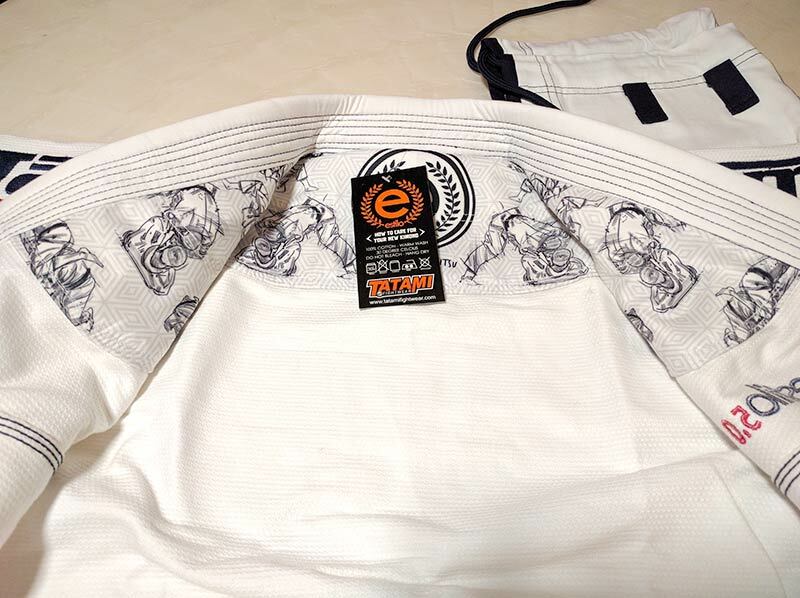 The Tatami Estilo 5.0 gi was released in April 2015. 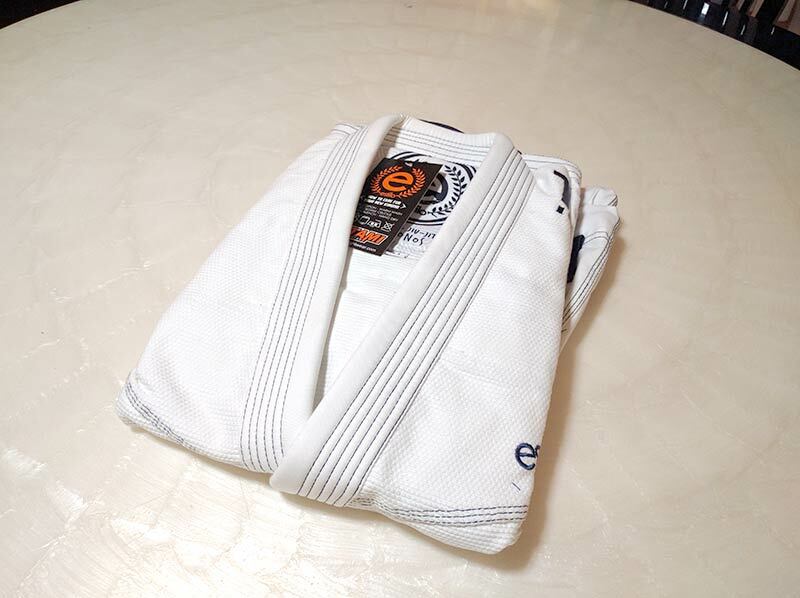 It is a pearl weave competition level gi. 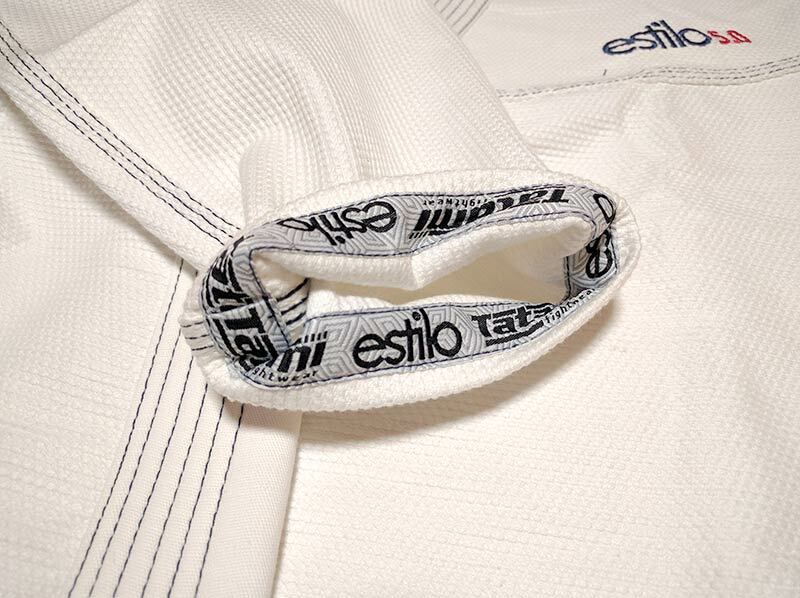 The Estilo was designed for the high-level competitors. They are easy to order over the internet and worn by many. In this article, we are going to put the Tatami Estilo 5.0 under the microscope and test its worthiness. 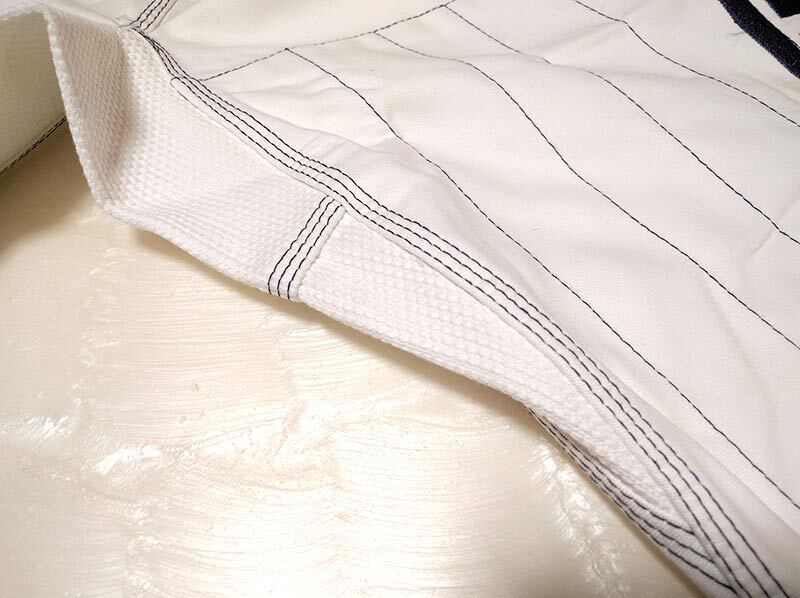 First, the Tatami Estilo boasts a 550GSM Pearl weave Jacket and a 12oz pants. GSM stands for Grams per Square Inch, which speaks to the weight and strength of the jacket. 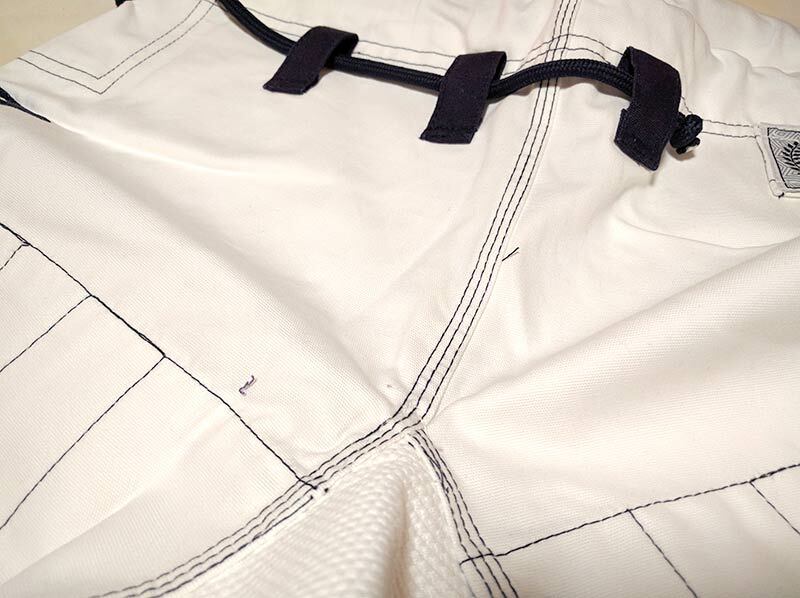 The seams are double stitch reinforced. The 550GSM measurement is a rare number. And yet the gi fairly lightweight at 4.5 lbs. 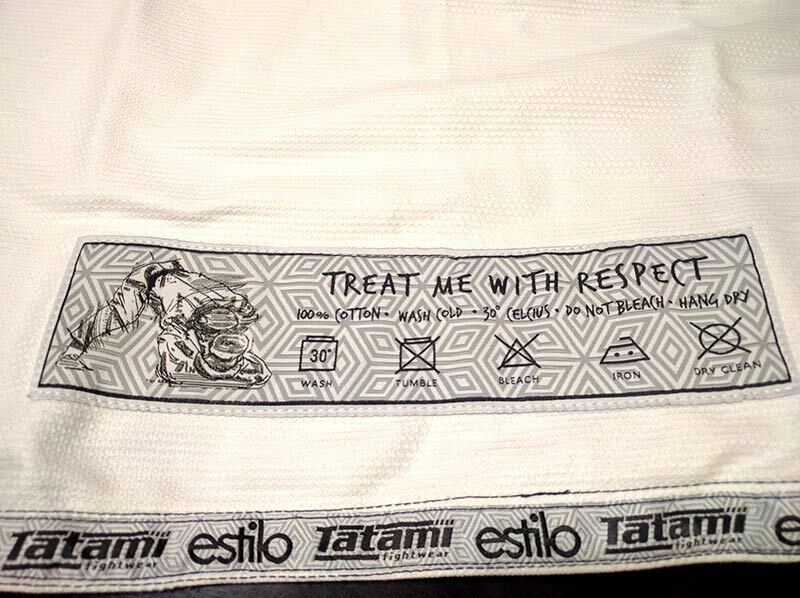 I prefer ripstop materials for pants but the pants are still difficult to rip. I wore the Tatami to a couple practices to get a feel for it. No rips or weak points in the stitch work. Very encouraging. Collectively I will mark the construction at 3.8 out of 5. My only two complaints are: I would really like to see an option with ripstop pants and a rope belt that is not elastic. 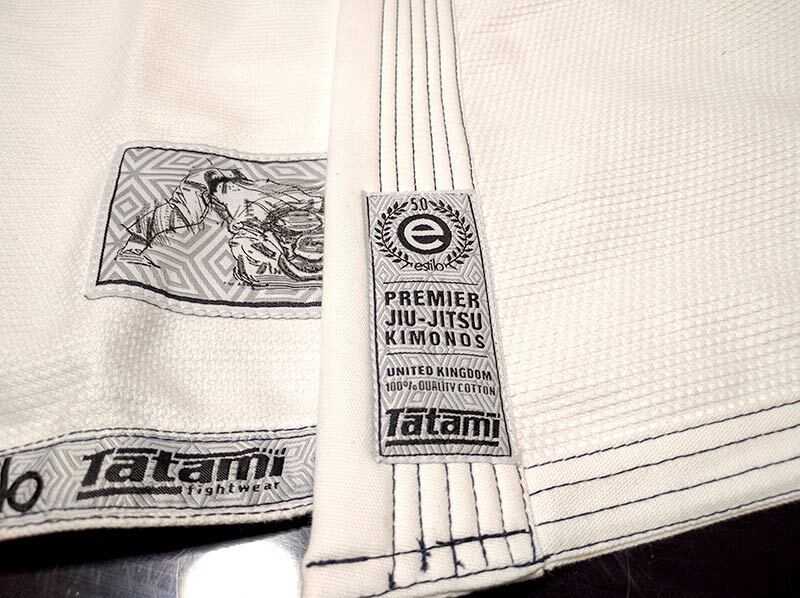 Next, the Tatami Estilo is offered at an extraordinary number of sizes. I found this feature very user-friendly. Less friendly is their sizing chart. Typically, I wear an A2 size. I had to read up on the customer comments to effectively understand which size would be best. 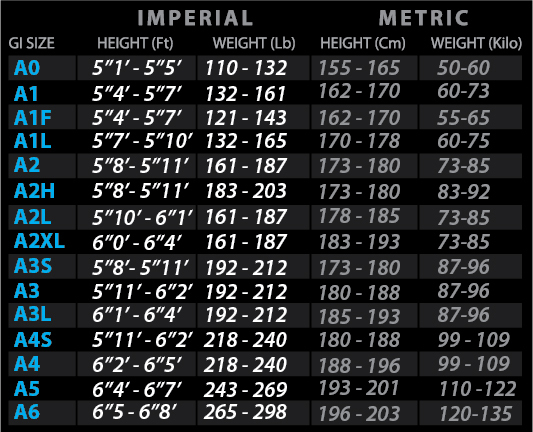 In this case, it was an A1L → 5’8” @ 165lbs. 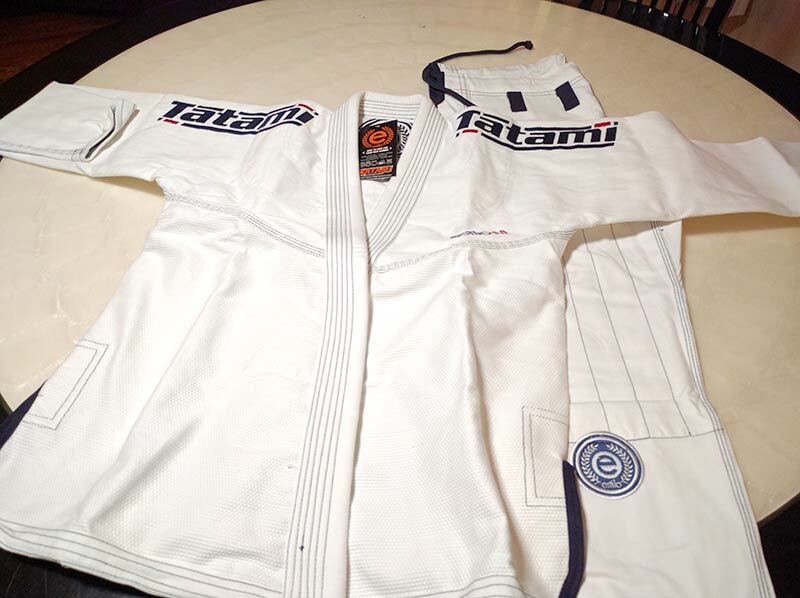 Even then I kept the box and tags just in case this gi shrunk up on me. The Estilo fit like a tailored suit. I did put the Tatami through a couple hot cycles in the washer to understand the shrinkage. It did just fine. The fit for the tatami is a 5 out of a 5-star experience. The Estilo’s design is loud and unapologetic. It walks the walk and talks the talk. 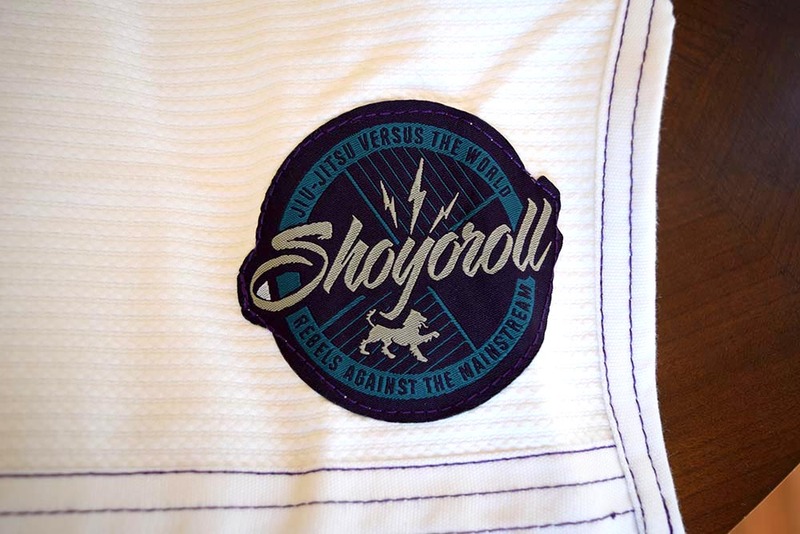 There is ample white space to add your school patches. 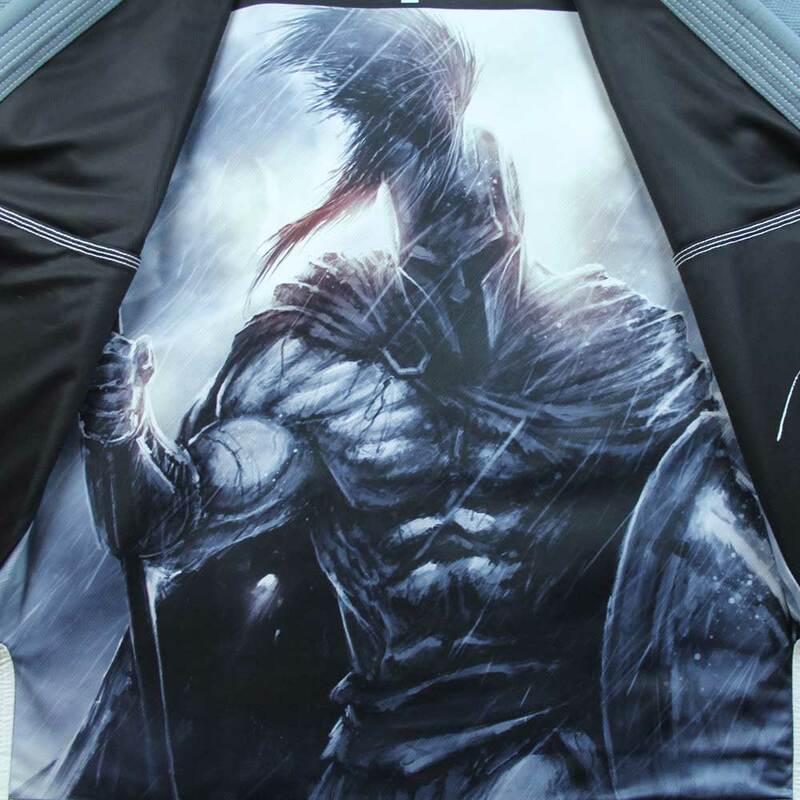 There is some premium silk screening on the inside of the gi. It looks good with or without the extra patches. Something unique about the Estilo is the variety of colors you can get: Black base w/ white highlights, Black base with silver highlights, Black on Black and Black, and Black with Yellow highlights. White on black, and White on white. Blue base with white highlights and Blue with Graphite. Navy base on white. 5 out of 5 stars. The Estilo has a lot of good features. 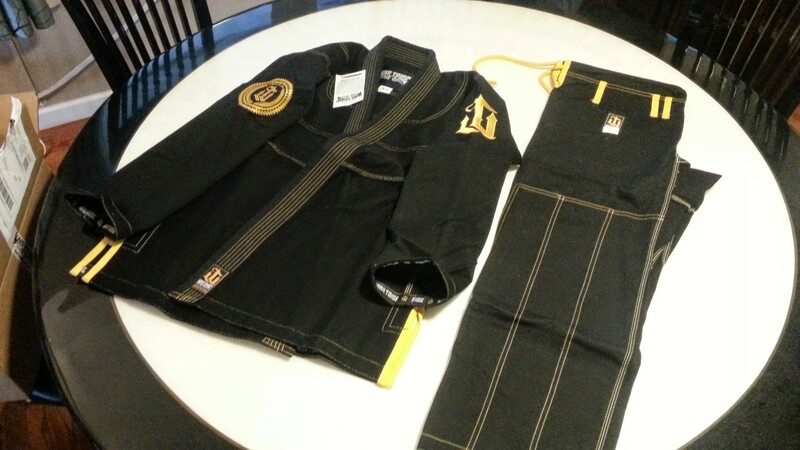 We are talking about a Premium level gi at around $150. This is a great price point for the amount of gi that you are getting. 5 out of 5 stars. 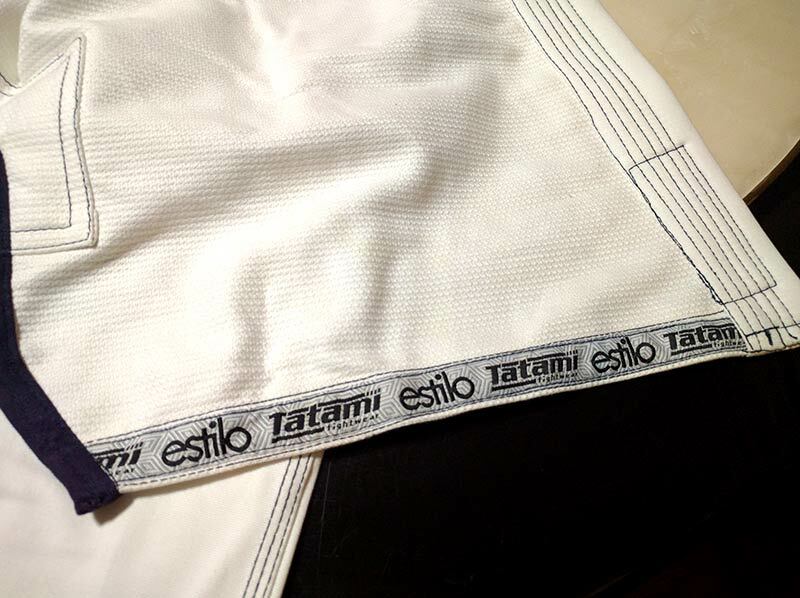 The Tatami Estilo 5.0 is a solid gi. It comes in many shapes and sizes and a multitude of colors. Here are some other points that may or may not make the purchase for you. The Estilo is available off of Amazon. On Amazon, it is very popular (4.6 out of five stars @ 17 reviews) and the user group is answering a lot of questions about fit. 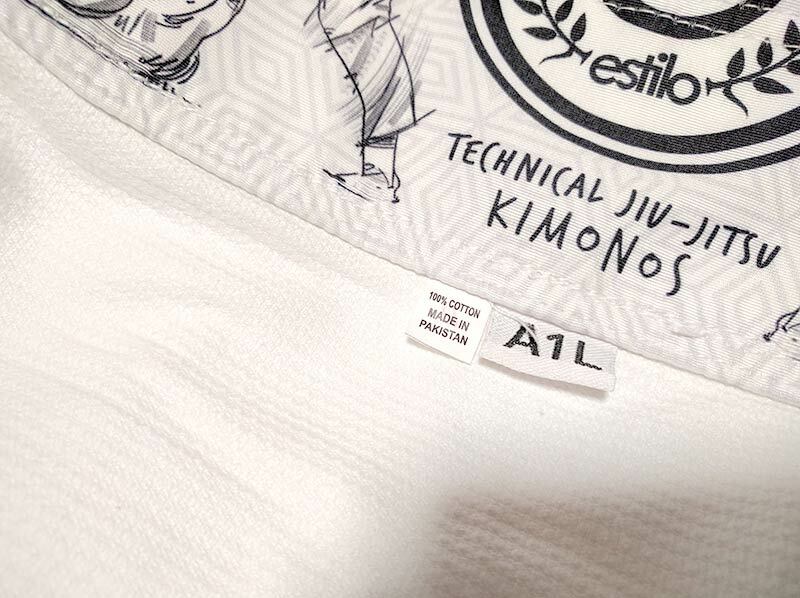 All the marketing material around the gi doesn’t really speak to a standout feature. 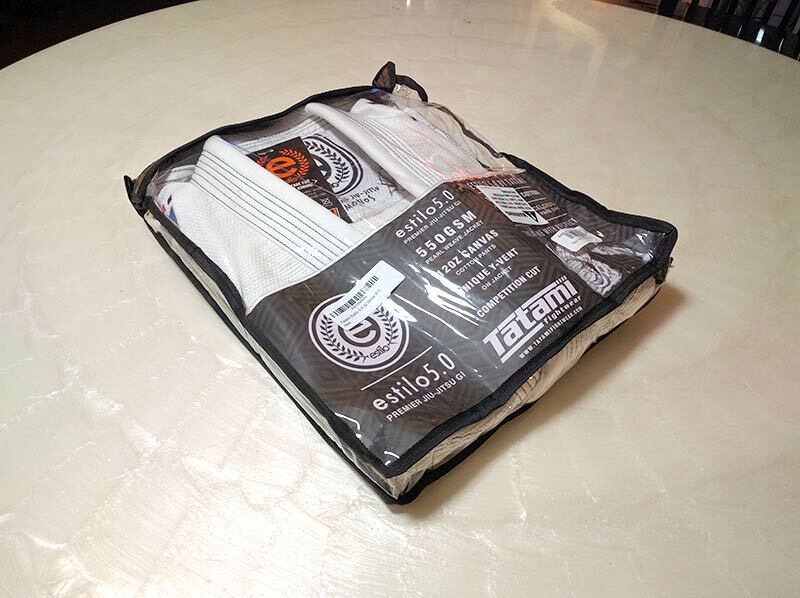 Given the solid construction, the wide variety of sizes and colors this makes the Tatami Estilo 5.0 a strong competitor. 18.8 out of 20 points! Next post Steve Maxwell interview – A must see!